Did you find there to be a noticeable lack of "A" in the broadcast of the 2012 Spike VGAs tonight? By my count, we had somewhere in the neighborhood of half a dozen actual awards given out during the two-hour presentation. A few games won in multiple categories and they saved time by sneaking a few other awards in with the one acceptance speech, while a couple more were announced during the event's red carpet pre-show. Meanwhile, the rest of the show didn't even bother with the pretense of being anything more than a massive marketing effort, with the scads of new trailers and so forth. Just kind of sad, really, but at least I'm not ashamed of my hobby after this year's show. That's progress. We do have a list of all the winners to share with you, so at least you can see the full rundown in one easy place, maybe catch the ones you didn't hear during the show. 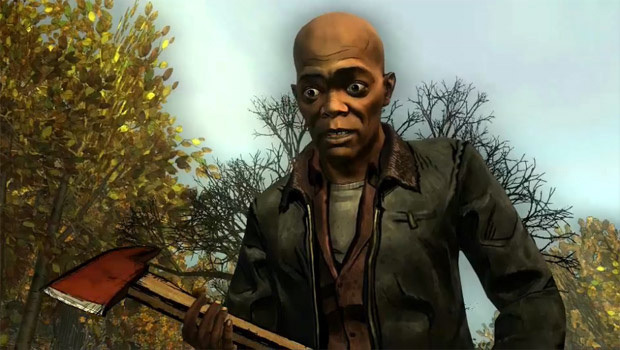 Best Performance by a Human Male: Dameon Clarke in Borderlands 2 as "Handsome Jack"
Best Performance by a Human Female: Melissa Hutchison in The Walking Dead as"Clementine"